Gymboree is offering up to 80% off the entire store during their Cool Summer Sale! PLUS…you can save an additional 20% off PLUS score free shipping with promo code KEEPCOOL at checkout. This makes for some great deals on kids uniforms! 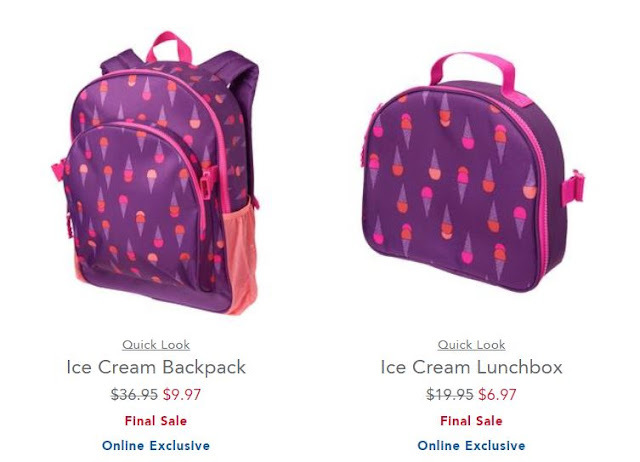 One great deal to get you ready for Back to School is the matching lunchboxes starting at $6.97 and backpacks for $9.97! After the 20% off you’ll end up paying only $13.55 for both! PLUS don’t miss the HOT deals on school uniforms!